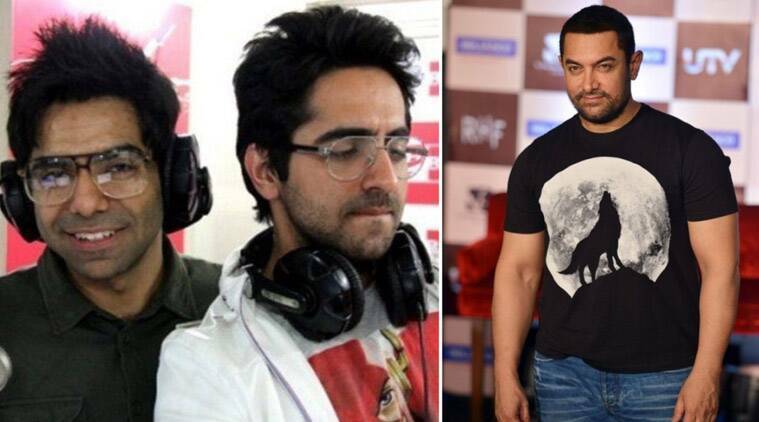 Ayushmann Khurrana's brother Aparshakti, who is a known Radio Jockey and theatre actor, has been roped in to feature in Aamir Khan's 'Dangal'. Aparshakti Khurrana has been cast for Nitesh Tiwari’s much-talked about project ‘Dangal’, thanks to his voice. Ayushmann Khurrana made his debut back in 2012 with ‘Vicky Donor’. Now after three years, we hear that the actor’s younger brother Aparshakti Khurrana, is gearing up to make his debut in Bollywood. In fact Aparshakti who is a known Radio Jockey and theatre actor has been roped in to feature in Aamir Khan‘s ‘Dangal’. Though earlier reports suggested that Aparshakti would be making his debut with Neeraj Pandey’s ‘Saat Uchakkey’, he has now been cast for Nitesh Tiwari’s much-talked about project ‘Dangal’, thanks to his voice. Though there is no official confirmation about the same, it is learnt that Aamir was looking for someone with a resonating voice with good screen presence, which he found in Aparshakti. As for the film itself, ‘Dangal’, which is a biopic based on the famous wrestler Mahavir Phogat, will see Aamir playing the wrestler’s role, however the lead actress of the film is yet to be cast. Produced by Disney Studio India and directed by Nitesh Tiwari, ‘Dangal’ is slated to release on December 23, 2016.